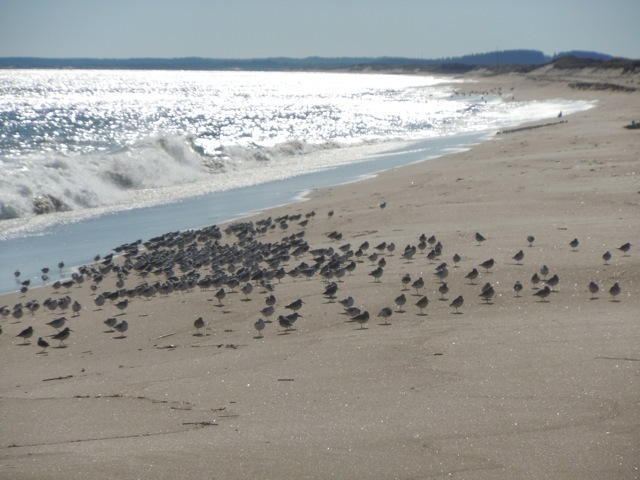 I've been swimming this week in the ocean off Plum Island, Massachusetts, as we've had a spate of climate-change induced hot weather (seriously now...). The water is still cold, however. 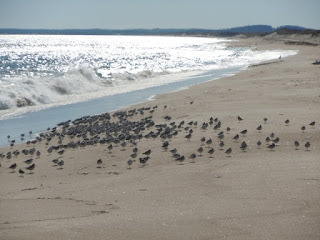 It's probably 49 degrees F., as it's 50 degrees in Boston, and the Plum Island waters are a bit cooler. So the swims rank as my first cold-water plunges of the spring, as described in Chapter 11 of Fitness For Geeks. Everything seems to happen along the lines of the "mammalian dive reflex" that the book describes, including the gasp when you hit the water. Obviously, I don't really swim, I just go in and out, almost like taking medicine. But it feels great afterward. Skin tingling all over, and a kind of thrill-seeking rush to the head. A baby seal bobbed in the waves when my son and I went down there today, and I could have (temporarily) used some of his blubber. I dived in both the Merrimac River, on one side of a jetty, then the Atlantic ocean. If I brought my triathlon wetsuit, then I wouldn't get the full hormetic benefit of a cold-water plunge. I have downloaded your PDF book, but I tried to purchase total book in Amazon but I didn't getting correct location to buy. While clicking on Amazon in PDF its redirecting to home page of Amazon.